Months and months… We have not seen each other for so long. A little stopover for some lunch, all thanks to the generosity of Cortez Family..
Alfonso + In-between Cards Game. 😀 Annnddd, we always have a target! Guess who? When there was a bit less crowd… we then head off to – the pool. Then, we went to the famous Fisherman’s Wharf, alongside Pier 39. I also got to try Lotus Biscoff Coffee. ❤ ❤ It’s so good!! Perfect to combat the windy nights of SF. It is now the home of a stylish collection of shops and restaurants—one of the most pleasant places to stroll and shop in the city. Wind through passageways and across plazas to visit an assortment of boutiques and gift shops, or relax with bay views from a selection of restaurants. If you have kids along, you probably have one destination in mind more than any other: the Ghirardelli Soda Fountain and Chocolate Shop. I am 110% you’ll be overwhelmed inside their chocolate shop! Of our downtime moments. ❤ We also bought tickets for the Cable Car. You can buy them at Pier 39. We bought it for $7.00, a single ride ticket. You can buy it for $21 where you can hop on and off the cable stops around the city for the day. We hopped off at the last stop, Union Square. It is the commercial hub of the city. Many major hotels and department stores are packed into the area surrounding the actual square. Numerous upscale boutiques, restaurants, nightspots and galleries occupy the spaces tucked between the larger buildings. This is where you’ll also find the famous Cheesecake Factory with an overlooking view of the whole Union Square. The restaurant is situated in their roofdeck but be sure to make a reservation. Or if you’re planning to have lunch there, be sure to be at restaurant around 10. When we got there about 12:30, we were already 23rd on the list. WOW right? So no. We did not wait. It is the last remaining structure from the 1915 Panama Pacific Exposition. Listed on the National Register of Historic Places, this classical looking building is beautifully situated on a lagoon that reflects the mirror image on the surface of the calm water, while ducks and geese drift by. (planetware). Ofcourse, you can’t visit this place without going to Napa Valley, famous for Wine Tasting. It’s known for hundreds of hillside vineyards in the Napa Valley wine region. This particular winery offers 5 wines for $20. 😀 Good deal right? You can choose from a long list and they will also help you choose and recommend based on your preference. Finally ticked off Napa Valley on my list! But I have to bring judey here. He should be here. Want to know another first time for me? Sleep in a yacht! It’s a real work! It’s nice to experience it but I wouldn’t want to sleep in one again. I don’t normally get sea sick or car sick — but sleeping on a boat is like floating for hours and hours. Connecting San Francisco with Marin County and other districts further north, the Golden Gate Bridge was, at one time, designated the greatest man-made sight in the United States. Hope to be back again, San Francisco! ❤ There’s still a lot I haven’t seen. Side note: Please patronize Champion Authentic Athletic Apparel and Champion Life! Our third day starts with a trip to THE STATUE OF LIBERTY, a gift of friendship from the people of France to the United States and is recognized as a universal symbol of freedom and democracy. The Statue of Liberty was dedicated on October 28, 1886. It was designated as a National Monument in 1924. Each person has to pay about $14 for the ferry. Mind you, the line was super long and going inside the boat has a little bit of stampede situation since there was no proper line. Also, the priority here is for you to go inside first for you to grab a seat inside. If you’re like me who easily gets cold… you have to stay inside. When the temperatures drop and its hella windy outside, the cold is terrible. Upon reaching the island, you can freely roam the island and take good pictures.. The ferry boats are scheduled to arrive every 30 minutes so if you’re done taking pictures, there’s also a cafe and restaurant slash souvenir shops in the island while you’re waiting for the boat. After our trip to the liberty, we were so hungry and feeling a bit under the weather (literally).. so we took our lunch at Fridays near Wall St.
Wall Street is one of the world’s most famous streets. Historically known as the center of New York’s financial district, Wall Street is often associated with wealth and ambition in America. One of the Financial District’s most famous symbols is the ‘Charging Bull’ Statue (The bull represents a bull market, a constantly rising market). I know you are familiar withe 911 bombing that left thousands of casualties.. we went there to pray and pay our respects. Twin Towers of World Trade Center. You see the square hole in the middle of the water? That’s where the building used to stand. It has has roughly 365,000 square feet of retail space, which once again makes it the largest shopping mall in Manhattan. It just opened last August 2016. And the last stop for today —- DUMBO. (Down Under the Manhattan Bridge Overpass) is a neighborhood in the Newyork City Borough of Brooklyn. The area known as DUMBO used to be known as Gairville. It encompasses two sections: one located between the Manhattan and Brooklyn Bridges. The second day of our visit was a lot more better – no rain and no luggage in toll. A better morning walking the streets of New York..
Central Park is a must-see for anyone visiting the five boroughs, no matter the time of year. The 843-acre destination is Manhattan’s most famous park, full of trees, gardens, rolling meadows, arches, sculptures, statues and vistas. The two-story terrace, which overlooks the Lake and southern sections of the Ramble, features intricate carvings that represent both the times of day and the four seasons. At the center sits Bethesda Fountain—also known as the Angel of the Waters—a biblical allusion and also a celebration of the water system that first brought water to New York City in 1842. We walked over to the metro to go to the nearest station to GRAND CENTRAL STATION. It is the most complex station that links route 4,6 and 7 at all times. And so, there’s this famous burger place that everyone thinks can match up to In & Out so ought to try it out right? It’s SHAKE SHACK, baby! Like any other grilled burgers, it’s unnervingly satisfying!! But I have to say, I’d go for the In & Out burgers but Shake Shack fries is so much better. The milkshake is good too! 🙂 Uhh. Burps. The Flatiron Building was designed by Chicago’s Daniel Burnham as a steel-frame skyscraper clad in white terra-cotta. At 21 stories and 307 ft (93 meters), it was one of the city’s tallest buildings. Even now, I cannot fathom the next words I will be typing…. I’VE BEEN TO NEW YORK! 🙂 Oh.my.heart. I am officially in love with the city. One cannot erase what you’ve seen and experience. So to start telling my story… Undoubtedly, we land in JFK Airport from LAX. We boarded an airtrain from JFK Airport. An airtrain links you to the MTA New York City buses and subways which will basically take you all around the city. We spent $8.00 for the card. After alighting from the airtrain, we boarded an MTA train again to go to our Airbnb. It is decorated with Neo-Gothic style. It is the seat of the archbishop of NY located on the east side of Fifth Ave between 50th and 51st streets in midtown manhattan, directly across from Rockefeller Center. The church was majestic. It looked so classic an vintage and elite all at the same time. The carvings were carefully done and very intricate. Also one of the most famous landmarks in NYC, it’s running on 22 acres that features 19 commercial buildings. It is also a popular destination for all the events happening in the city. Do you remember the Home Alone 2 scene where Kevin McCallister is standing infront of a giant christmas tree and wishing for his family to return? well, that’s where this is. The famous lighting of the Christmas Tree every year that is being aired all over the world? It’s here. You can actually also go up, TOP OF THE ROCK where you can see the skyline of the city. But for us, we didn’t go there since we will be doing that at the Empire State Building — which is due for another post. So after we’re settled in our Airbnb, which is at Upper East Side (well, hello elites), we head out for some lunch. and since we were dead tired from all the walking, we decided to stop by the nearest restaurant we could find from where our Airbnb is. It left us with… trying our first and last NYC Pizza. It’s a self service restaurant with pizza pans lined in front of the counter so you can choose what flavor you like. And I tell you, 1 slice is enough for 1 or 2 persons! Even the streets leading to the museum is Insta-worthy. When we were walking to the museum, we could see there were 2 V-E-R-Y long lines on each end where the entrance is. BUT, BUT, but.. the lines move pretty quickly! so, don’t fret. Though, I suggest you go in the morning so you can take a look around more. The museum is huge. So, I have to tell you that once you’re inside — you’ll be overwhelmed with how much people are there in the lobby trying to get in line to get a ticket! But here’s the deal: my brother found a machine where you can buy your tickets. The suggested price is $20.00 so that’s what we paid for. So, my favorite part of the museum is… the one with all the God Statues. After hours of looking at everything spectacular, we uber-red back to Airbnb and went to K-TOWN . We ate at KANG HO DONG BAEKJONG in K-Town which received a two thumbs up from Anthony Bourdain. I swear I loved New York on Day 1! This was never the plan. — But of course, it’s the ones we don’t plan that turns out to be pretty amazing. Right? It’s one hell of a work though. We arrived at around 6pm and got settled about 7pm. Fanning, Blowing, Lighting pieces of newspaper, Re-arranging the wood for 3 whole hours just to catch a spark – to make fire. It’s EXHAUSTING & Fulfilling at the same time! The food was cooked around 10:30 pm! Sometimes, you just need an adventure to cleanse the bitter taste of life. On a saturday, we sacrificed sleep to leave by 1am. But of course, I managed to steal hours of sleep during the ride. We had a mini stop over at 230 am for a coffee and restroom break and another one at 6am for rice pudding. The office clan: not complete in this photo though. Directly at the port to go to the bathroom, change clothes and finally board the boat. Only 2 people in this boat knows how to swim. Yup, humiliating as this photo is, it was that windy. And the hike starts immediately. There are a lot more sweaty, tired haggard pictures but let me just leave you feeling like you want to travel to dingalan with the pictures below…. It’s pretty tiring but still an amazing view altogether. Thank you Dingalan! 🙂 Thank you for coming, love. ❤ It’s really not the same if I go somewhere new without you. I love you. More travels, RMK! I am too excited for this trip because I won’t be able to do this for about a year. But let’s not focus on the idea that I’ll have a tripless year. Haha. But before we proceed to Zambales, we ate at CBTL – NLEX, our favorite Spanish Sardines Pasta with the coffee to keep our eyes from permanently closing. We are going to stay at Capones Vista Resort in Pundaquit, Zambales. The resort has their own cafeteria – you can either stay outside, facing the pool area or stay inside where the small / bar counter is.We stayed outside. First and Second Day at Home before heading out to get baked. For Dinner, We had Lechon Macau, Sizzling T-Bone Steak and Hokkaido Soup. The Service is Blah though. Servers at the cafeteria showed that they pretty much do not want to be disturbed. We scheduled for a Massage and Mani – Pedi but both were forgotten. We followed up the massage and was told that it will arrive at 10pm but showed up around 11:15pm. Second Day was really a quiet day for rest, we stayed there listening to music, taking a dip, making conversation, lying around and just thinking about life in general (I know!) Haha. Well, there it is. 😀 Overall, I am happy about the trip – It would have been better if the better half was with me though. The place is great, service is a no no. F – I – N – A – L – L – Y. After a year of asking him to bring me to this place, a year after everyone has gone, a year after discovering this place when no one seems to know about it yet. — and yet, I’m still the last person to go here. PintoArtMuseum, you were remarkable. I am certain the artists are grateful for places like you. I also love your choices. The artworks in your Gallery 3 were Mind Boggling and thought provoking. Artists, I can never assess how you were able to depict the society with a stroke of your brush. You all have talent. I envy you. For those who have not visited this place, I highly encourage you. And for those who just went here for IG pictures, at least appreciate the art and the story behind it. My Grad School Classmates and I went to Malaysia last March 23 to 26. Follow my travels and see what happened in KL. 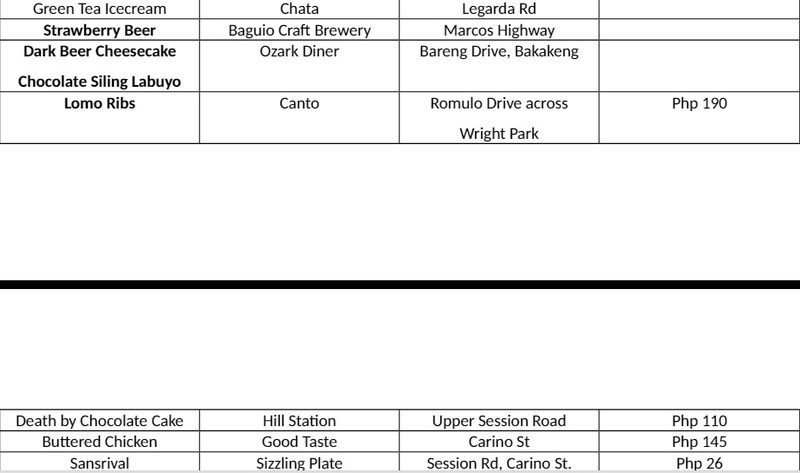 How to get to Baguio? There are two bus lines that cater to people going to Baguio: Victory Liner and Genesis. Initially, we tried Victory since that will be our second time. But all the Deluxe Buses were fully occupied. Until we grew impatient because the next schedule would be 7 in the morning. then we were desperate. We tried going to Genesis, and luckily, they had two more – in the Joybus. So I researched, and below is our guideline for the weekend. If you want to read more about it, click the link below. I. Breakfast – Good Taste Experience.